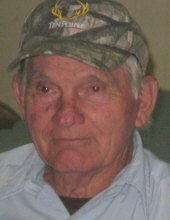 DE SOTO – Robert Norman Reed, 91, passed away Monday, March 25, 2019 of natural causes at Memorial Hospital of Carbondale. He was a long time resident of De Soto, Illinois. Funeral services will be 10:30 a.m., Friday, March 29, 2019 at First Baptist Church, DeSoto with Pastor Josh Wehrmeier officiating. Burial will follow in De Soto City Cemetery. Visitation will be 5:00 to 8:00 p.m., Thursday, March 28, 2019 at the Meredith Funeral Home, Carbondale. Robert was born July 19, 1927 to Frank and Mary Reed. Robert was a retired sheet metal worker and proud member of the local 268 union for 60 years. He spent the years of his retirement doing mission work around the country helping with recovery and rebuilding after natural disasters and repairing houses for those in need. He was an active member of De Soto First Baptist Church where he served as trustee and custodian for many years. Robert was an avid outdoorsman. An accomplished hunter and fisherman who taught and shared this hobby with his children and grandchildren. Mr. Reed is survived by his brother, Homer; his children, Verna and Steve; his grandchildren, Cheryl, Jennifer, Lori, LeeAnn, Dominic, Tony and Leslie and by many great-grandchildren. He was preceded in death by his parents, brother, Don; sister, Becky; wife, Dorothy; children Gene and David; and granddaughter, Karla. Memorials may be made to De Soto First Baptist Church and will be accepted at the funeral home or church. To send flowers or a remembrance gift to the family of Robert Reed, please visit our Tribute Store. "Email Address" would like to share the life celebration of Robert Reed. Click on the "link" to go to share a favorite memory or leave a condolence message for the family.